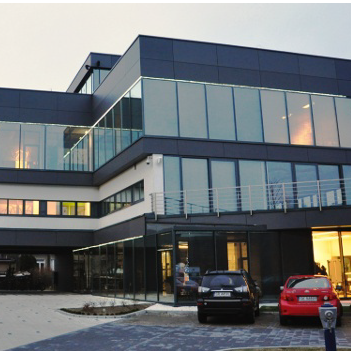 New ALAN Systems' office in Rybnik. In connection with permanent development of our company, management of ALAN Systems decided to buy a property in Rybnik at Obwiednia Południowa Street. On this parcel our comapny will build a new office complex. According to the schedule the building starts in the second half of 2010 and ends in the third quarter of 2011. It was important for us to have an office building created according to our own project and our needs. The main ideas of the project are multifunctionality and high standard of the cubicles – their surface will be flexible thanks to the movable walls. Our goal in this project is to deliver the highest technical solutions, that will facilitate work of IT companies. We hope that our modern building with its own parking lot, huge server storage fitting the bill of European stadnards of security, has chance to become a business card of Rybnik.